The sauna is a place for relaxation in Finland and abroad, and one of everybody’s favorite parts of traveling to Finland (myself included). We can also see that saunas really are something that stretches “abroad”, as evidenced by the fact that sauna is the only Finnish word that has been widely adopted by other languages. Not long ago we saw the 3 types of Finnish sauna , but today we’ll go further and leave the “normal” saunas aside. Everything that is traditional has its evolution and its extreme homages, that’s why we’ve brought you the world’s 5 strangest saunas, most of them in Finland. Image: Phonebooth sauna. Copyright: Oktober Oy. Source . When I saw the movie-documentary Miesten Vuoro, I was impressed with this sauna-booth. And, as every phone booth worthy of its name, you could see what was going on inside. This sauna can contain two people at a time, and it brings the word “public” to a whole new level: the transparency of the booth ensures that everyone passing by can see you having a sauna. You can also transport it everywhere, since it has a couple of wheels to move it around easily. In this sauna the walls are made of glass. One goes down a ladder and reaches the heating room, which has a breathtaking view. 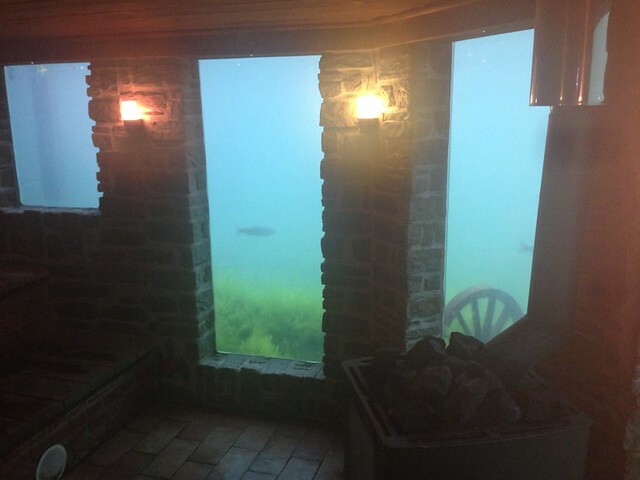 You can see people having a swim or fishes outside the sauna walls, all while enjoying the steam and relaxing. This underwater sauna is located in Gothenburg, Sweden. The entrance of this ice sauna. Source . High temperatures plus walls of ice. Why not?, they thought. 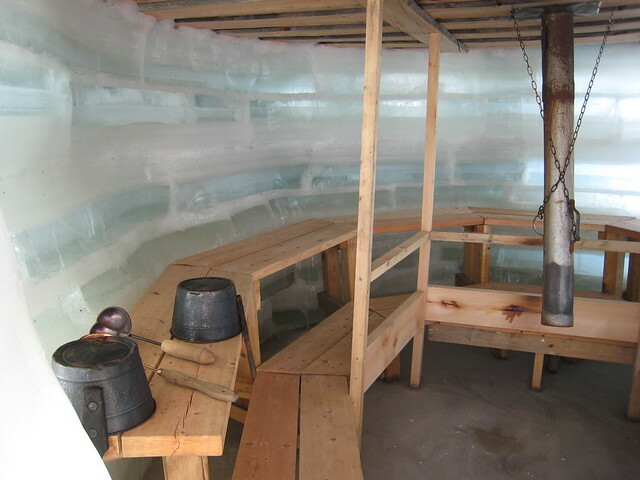 The walls and the floor of this sauna are made of ice, but the creators had the good sense to stick with tradition when making the seats, which are made out of wood. 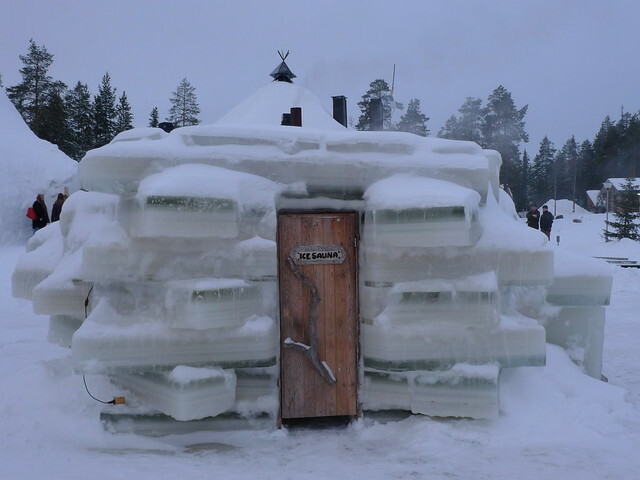 There is no sauna stranger than this: it has an expiration date, since it only lasts some sauna sessions before it melts and must be re-built. One of the great characteristics of ice is that it is a great insulator – that’s why igloos are made out of ice – and therefore, this sauna can keep the hot temperatures inside. The steam that comes out of this sauna, combined with the coolness of the surrounding materials, must make for a very special sensation. The temperature inside is a bit lower than in the traditional saunas – around 70 degrees Celsius. There are some of them in Finland, such as the one in the photos, which is located in Ruka, Lapland. The inside of the Ice Sauna. Source . This is how you see Helsinki’s Hartwall Areena from the sauna. Source . I think the majority of us have never been inside a VIP skybox at a stadium. When I was younger I worked in Real Madrid’s stadium bar so I could see the matches for free, and I was already thrilled about that. But when your VIP Skybox has a sauna inside… well, that’s definitely in another league. 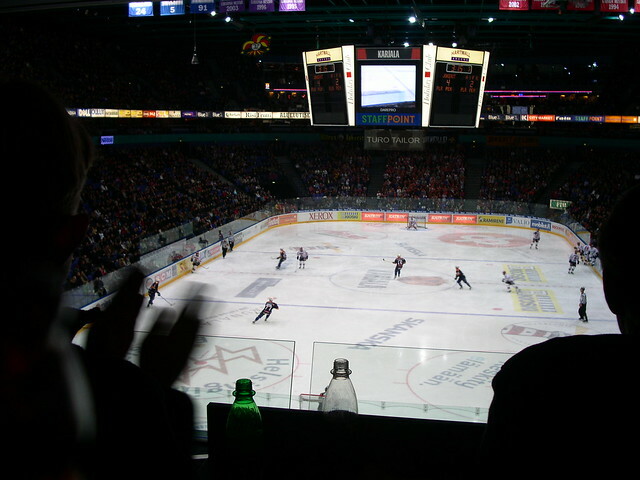 This is what happens in Finland, and one of the skyboxes of the Hartwall Areena – Helsinki’s ice hockey stadium, where big concerts are also held – has exactly this. There’s nothing like seeing your favorite team or band while throwing water on the sauna stones. Diving on the water after a sauna session doesn’t get better than this. Source . This is a sub-category of mobile saunas (I have seen a sauna on a car trailer more than once) but this is the strangest form because the transport and the sauna are joint together in one: a boat. And I am not talking about a sauna inside a cruise ship: I am talking about a boat that has a sauna and not much else at all. These kinds of ships usually also have some of the things that make a sauna great: plenty of water to dive into on all sides less than a meter away (some boats even have a slide on them) and a barbecue to grill some makkara, the classic Finnish sausage. In Finland, and specifically in Helsinki, one can board the M/S Saunaship Helsinki to have this experience. 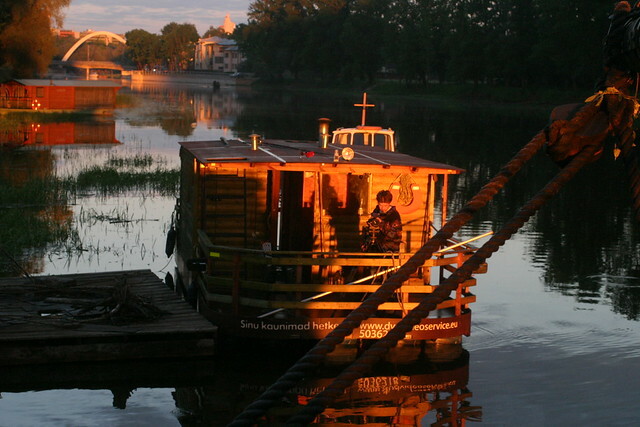 But these Sauna boats are also available in many other parts of the world; I’ve seen them in Stockholm and Berlin as well. What’s the strangest sauna for you? How was the weirdest sauna you’ve seen or you’ve taken?